Set in a remote district of villagers and nomadic pastoralists in the northernmost part of Mongolia, Højer introduces a local world, where social relationships are cast in witchcraft-like idioms of mistrust and suspicion. 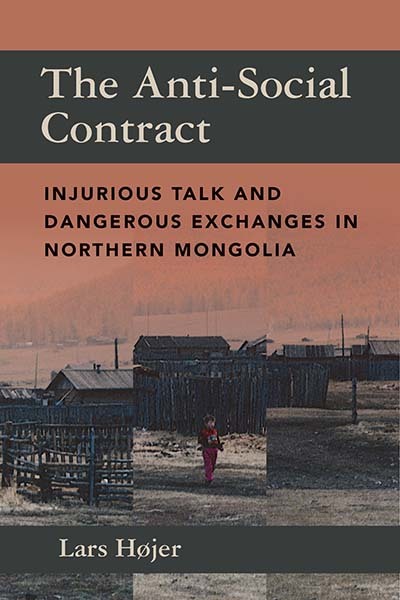 While the apparent social breakdown that followed the collapse of state socialism in Mongolia often implied a chaotic lack of social cohesion, this ethnography reveals an everyday universe where uncertain relations are as much internally cultivated in indigenous Mongolian perceptions of social relatedness, as it is externally confronted in postsocialist surroundings of unemployment and diminished social security. Lars Højer is an associate professor at the Centre for Comparative Culture Studies, Department of Cross-Cultural and Regional Studies at the University of Copenhagen. He has carried out extensive fieldwork in Mongolia and Inner Asia. His previous anthropological research has mainly focused on social, economic, religious, and political aspects of transition processes in urban and rural post-socialist Mongolia.